October 1987 saw BR launch a bold new image for its Railfreight business. Thirty years on Ben Jones looks at how the image was applied across the fleet. IT WAS the dawn of a new era for BR’s Railfreight business – a bright new image with bold graphics, locomotives and wagons dedicated to specific areas, and an end to scruffy, unkempt ‘general use’ locomotives. 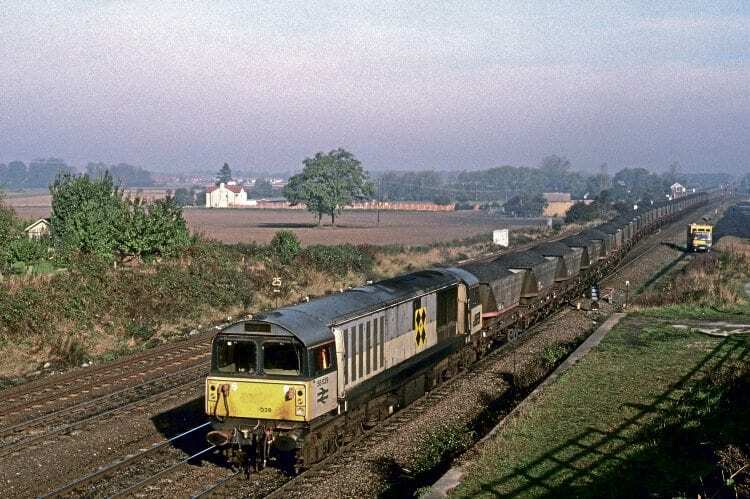 mid-1980s had proved a great success, but it was felt that the Railfreight brand did not reflect the renewed strength and confidence of the sector. 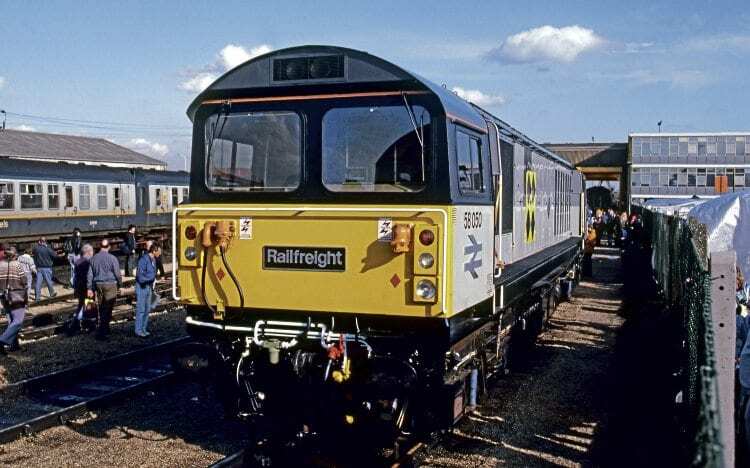 So, in October 1987, Railfreight was relaunched with a new colour scheme, combining three-tone grey paintwork with colourful sector symbols and imaginative depot plaques. 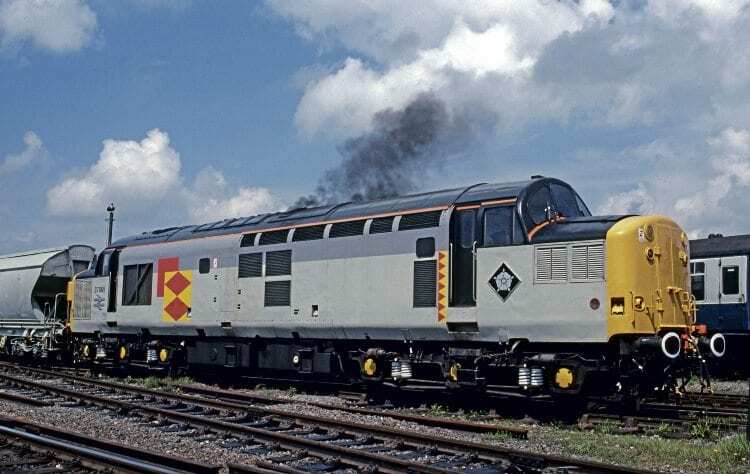 In service, the two-tone grey livery tended to get grimy, as typified by Class 58 No. 58039 at Milford Junction, near Sherburn-in-Elmet, on October 19, 1993 with a loaded MGR train for Drax power station. Inset: Coal sector Class 26 No. 26005, way off its normal patch during a visit to the Gloucester open day on July 1, 1990. Taking its cues from military aircraft markings, Roundel Design produced a new combination of neutral base-grey shades and bright primary colours to create a strong ‘squadron’ identity for each of the five sub-sectors – Distribution, Coal, Metals & Automotive, Petrochemicals and Construction. They were designed to project a modern, positive image for BR’s freight businesses. Between 1987 and the creation of the three regional Trainload Freight companies in 1994, more than 500 Railfreight locomotives received the new identity, with some retaining it well into the 2000s. Class 37 No. 37065 has just started up at the 1989 Coalville open day, prior to a demonstration run. A sixth ‘parent’ marking was devised for the overall Railfreight brand and used mainly on promotional material, but only a few locomotives ever carried it. Like the Network SouthEast branding launched in 1986, Railfreight’s new identity cleverly retained close ties to the celebrated British Rail corporate image, such as the cast metal double arrow logo and standard BR typeface. Class 37 No. 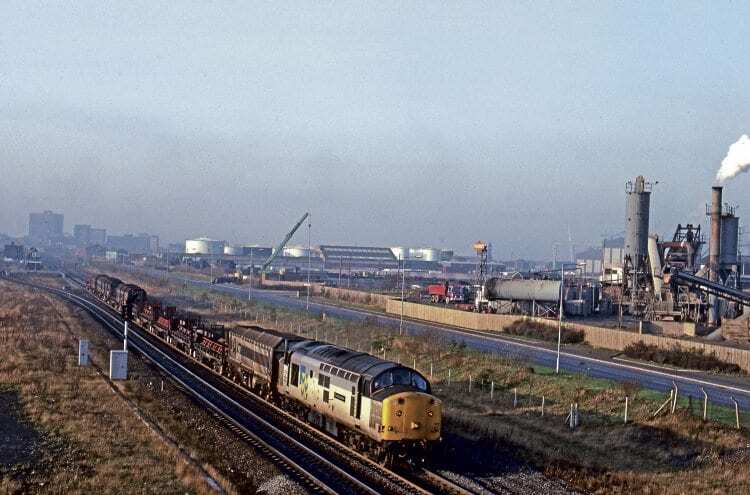 37512 Thornaby Demon passes Redcar with an empty steel train from Wakefield to Lackenby on December 31, 1991. However, it wasn’t just locomotives that benefited; wagons, road vehicles, buildings, signage, promotional material, and even stationery all received the new branding, reinforcing the message Railfreight was a successful, cohesive operation.